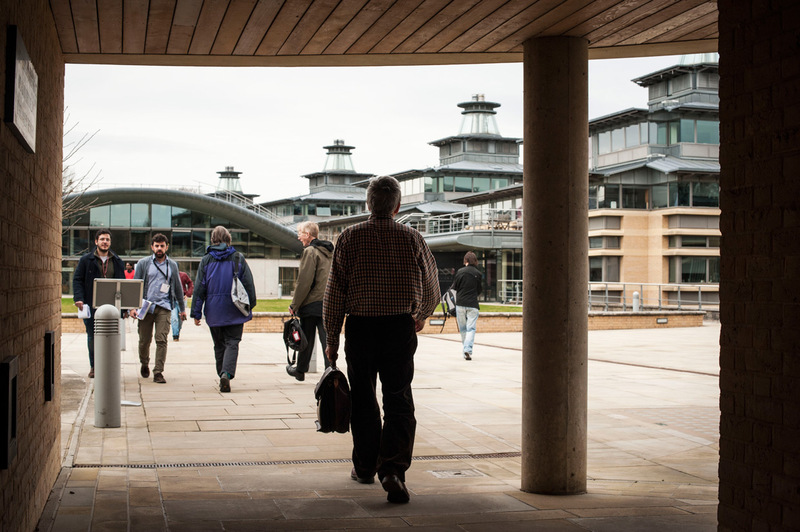 This week the Centre for Mathematical Sciences in Cambridge is host to the Joint British Mathematical Colloquium and British Applied Mathematics Colloquium (link). 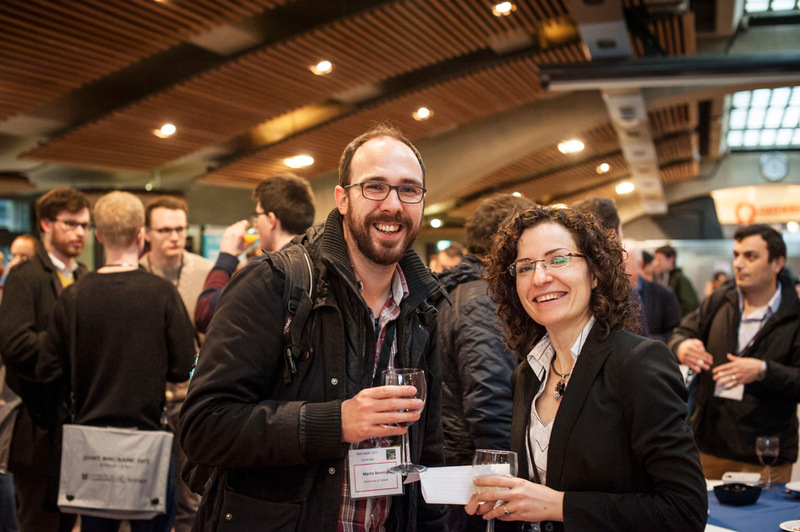 Here are a few selected photos from the conference. There are more posted on Facebook for those curious. The conference delegates arrive at the CMS. 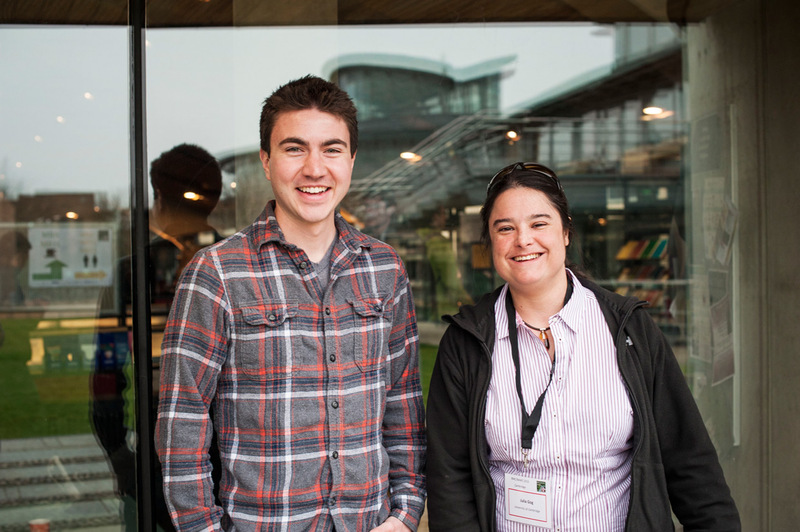 Stephen Kissler and Julia Gog. Martin Benning and Jasmina Lazic. 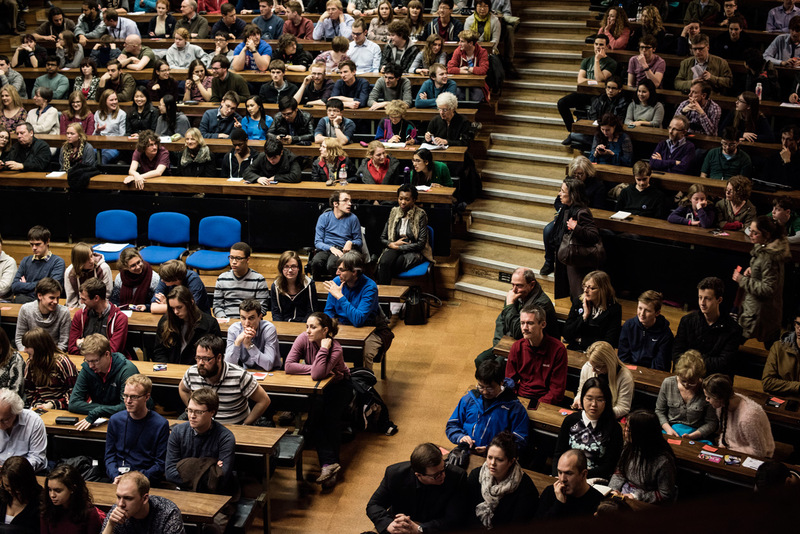 There was a public lecture today. An anonymous PhD student told me that the tickets sold out in a matter of seconds. Here are the lucky ones. Stephen Hawking and his assistant. 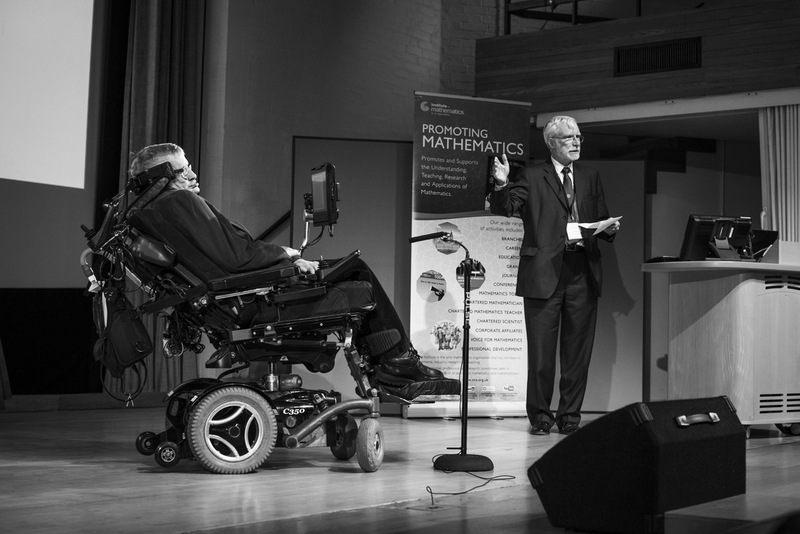 Stephen Hawking and Tim Pedley. 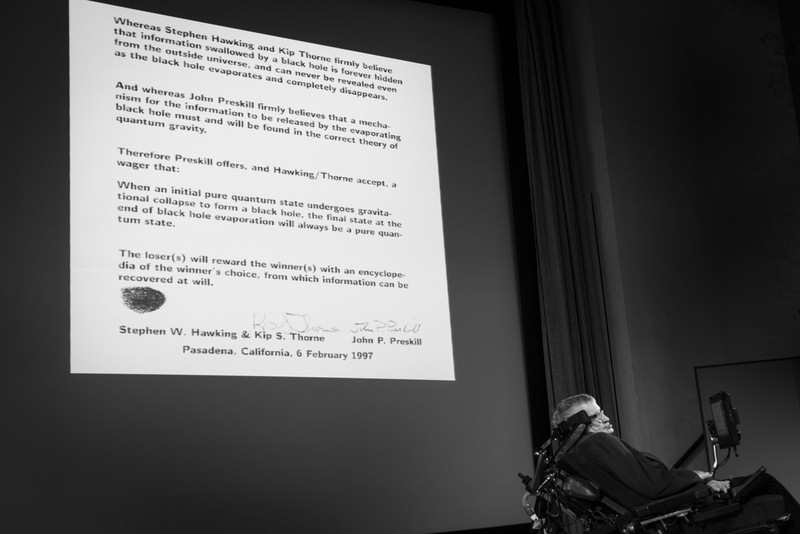 Stephen Hawking and the bet. 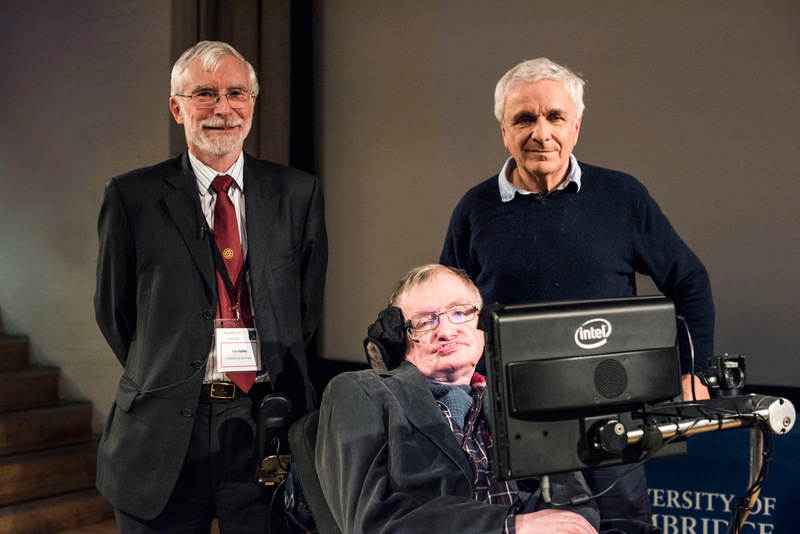 Tim Pedley, Stephen Hawking and Michael Green. 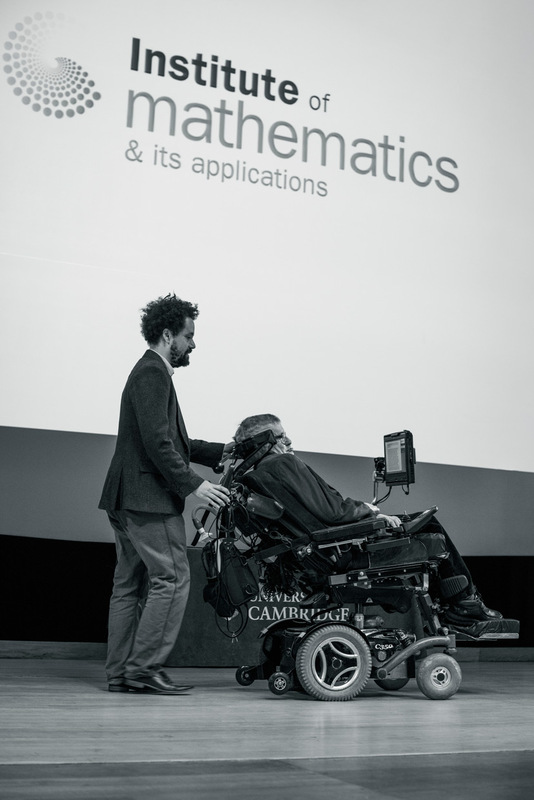 A quick glimpse from the conference and the public lecture. 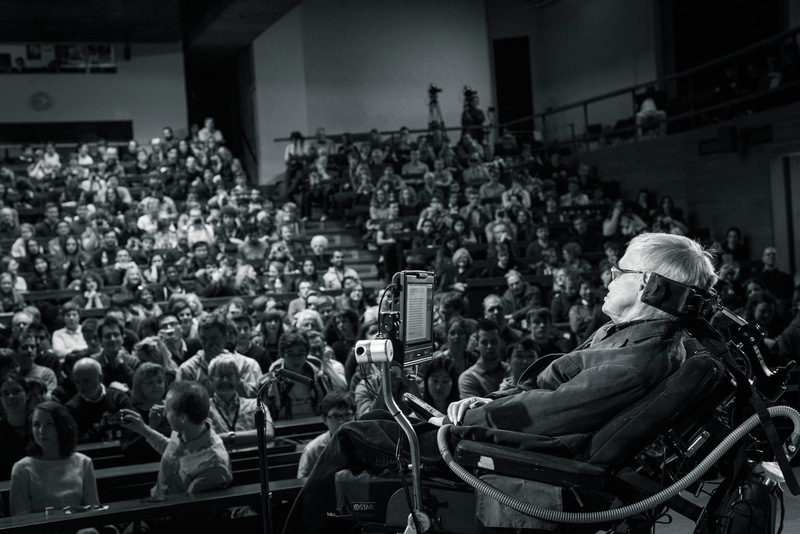 Here is a link to Stephen Hawking’s webpage.